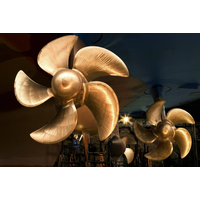 ABB’s Azipod propulsion will power Oceanco’s visionary superyacht inspired by Polynesian canoes and outfitted with the latest technology. 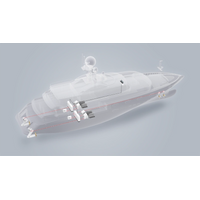 Perfectly suited to the canoe form, ABB’s contra-rotating Azipod technology achieves a 10 percent propulsion efficiency improvement. 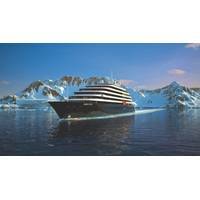 The ABB technology has become the industry standard in the cruise segment since its launch in 1990. 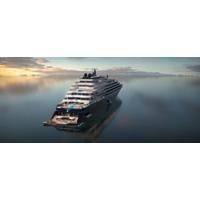 Tuhura made waves on its launch by Dutch superyacht builder Oceanco at last month’s Dubai International Boat Show 2018. 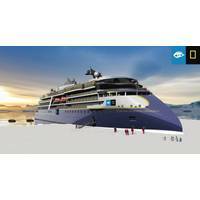 Azipod propulsion, the ABB technology that has become the industry standard in the cruise segment since its launch in 1990, has secured its 100th cruise ship order, winning a contract for powering the world’s first electric hybrid icebreaker. 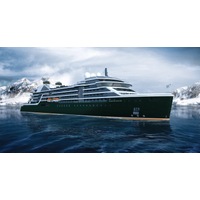 The luxury polar expedition cruise ship, due delivery for the French cruise company PONANT in 2021, will feature two Azipod VI propulsion units fit for the most challenging ice conditions. 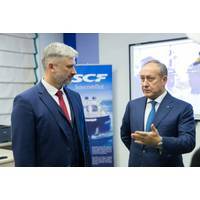 Upon delivery from Norway’s Vard Søviknes, a Fincantieri Company, the cruise ship will take passengers to unexplored destinations in Arctic and Antarctic waters. As I was preparing for Thanksgiving dinner I put on Indiana Jones and the Last Crusade. While Indiana Jones and Doctor Elsa Schneider were being chased by the Brotherhood of the Cruciform sword through Venice and their boat was neatly shredded by the propellers of a larger vessel, it had me thinking of how much propeller technology has changed over the years. And how hopefully Indiana’s boat did not actually damage that vessel’s propeller. 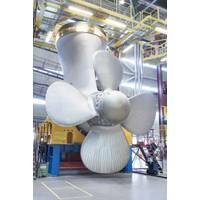 Recently an article passed though my news feed about the first 3D printed propeller. This is indicative of the direction the industry is taking. 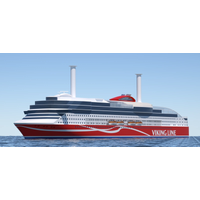 ABB to provide Azipod propulsion system for new Viking Line cruise ferry to be built in China, the first installation of Azipod propulsion in a cruise-ferry application. 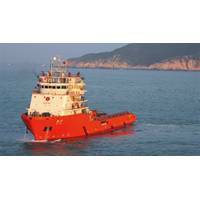 The vessel is to be built by Xiamen Shipbuilding Industry co., Ltd. Additional scope of ABB’s supply includes electrical power generation and distribution systems and bow thruster motors. 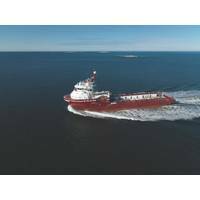 Scheduled for delivery in 2020, the 13-deck, 63,000 gt vessel, 2,800-passenger capacity ship will connect the Finnish port of Turku, Åland Islands and Stockholm Sweden. 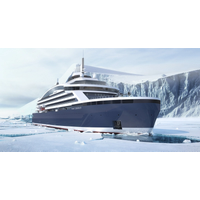 Leveraging its experience in the distinct polar and cruise vessel segments, ABB and its Azipod are at the forefront of the booming polar passenger vessel market. 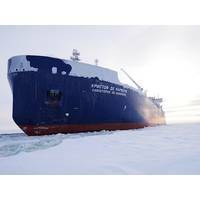 As world travelers continually seek access to more exotic and exciting destinations, evolving cruise shipping trends have triggered an order boom for passenger vessels capable of plying some of the most treacherous Arctic and Antarctic routes. 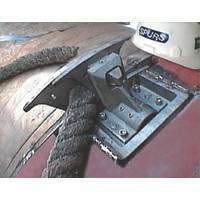 Required for this class of ships is a range of equipment and technologies that enable safe and comfortable sailing through polar waters. 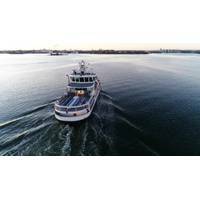 Global engineering group Cavotec has been awarded significant orders for its innovative systems for marine propulsion, shore power supply, and crane electrification systems, with a combined value of EUR 10 million, highlighting the Group's pivotal position in the global Ports & Maritime segment. 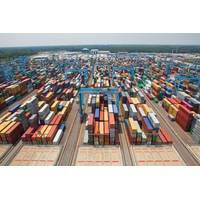 One of the largest of these orders — placed by a major crane manufacturer — is for powering and controlling advanced rail-mounted gantry cranes (RMGC) and Automatic Stacking Cranes (ASC) with motorised cable reels at two container terminals.